Trained in Chinese landscape painting, Li connects nature with the peacefulness typical of landscape paintings; and feels close to nature to be shocked by the destroyed landscape, polluted water, the over-exploited bare mountains and busy tourist attractions. She thus gave up painting using contemporary means of art. 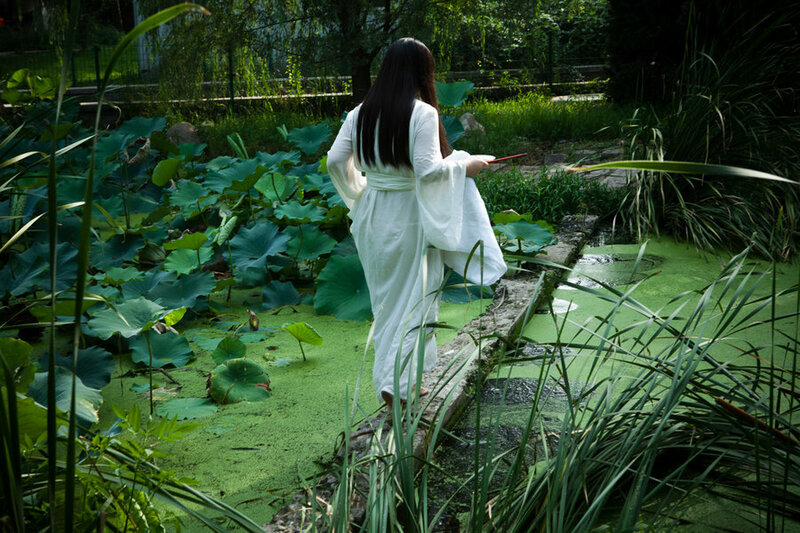 The performance is based on her reaction to these polluted rivers. 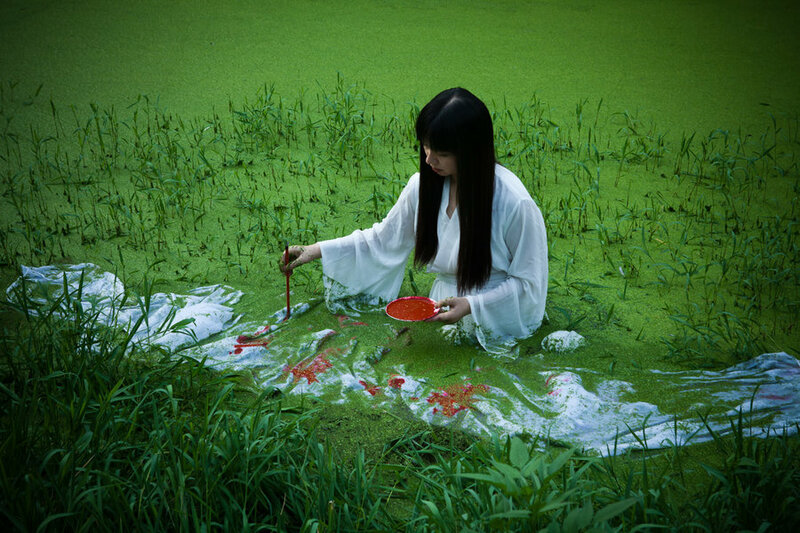 Standing in a contaminated pond, she painted a Chinese landscape painting with cinnabar on a piece of white gauze spread on the surface. There was no artistic conception at all when the red cinnabar continued to mix with the green polluted water in the pond, forming smudges. By means of performance, Li succeeded in bringing to completion a landscape painting of blood that could otherwise be impossible.